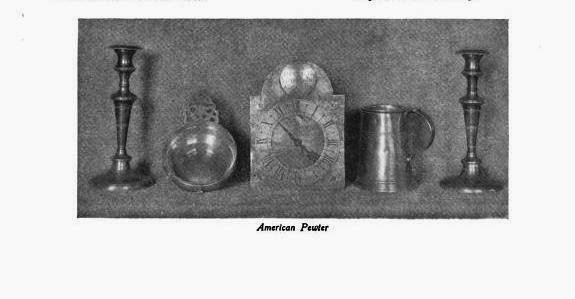 Colonial families handed down trades through the generations. 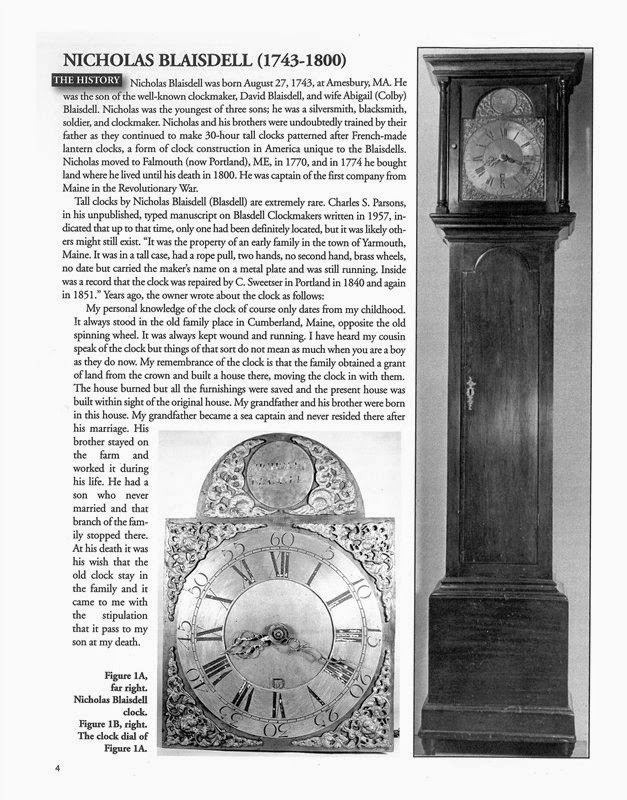 The Blaisdells (See Genealogy by Steve Klomps below) of Amesbury perfected clock making and the Noyses of Newbury mastered comb manufacturing. 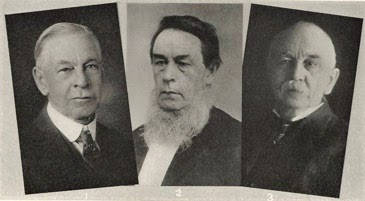 They would be among the many ingenious families who would help establish Essex County as the center of industry. Even more fascinating, generational expertise was not limited to one profession, as most “readily turned a hand at any business,” resulting in great success. David hitched up with Abigail Colby and lived on Main Street in a house that is now the Bartlett Museum. The couple had four sons who became master clock makers. The town voted to give David the meeting house bell that historians conclude he used for casting clock bells. 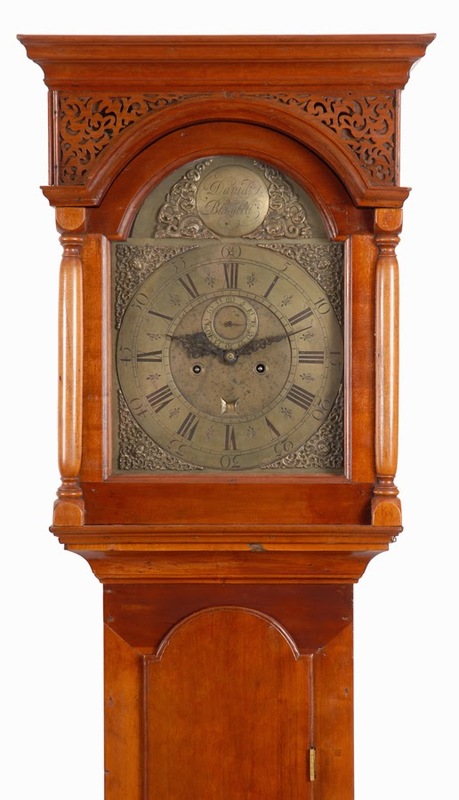 The clocks are still ticking today and the fine craftsmanship and quality come through the brass and pewter dials. There are 20 clocks on record made by him. 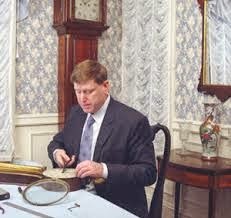 Gary Sullivan of “PBS Antiques Road Show” states that David Jr. took over the business in 1756. 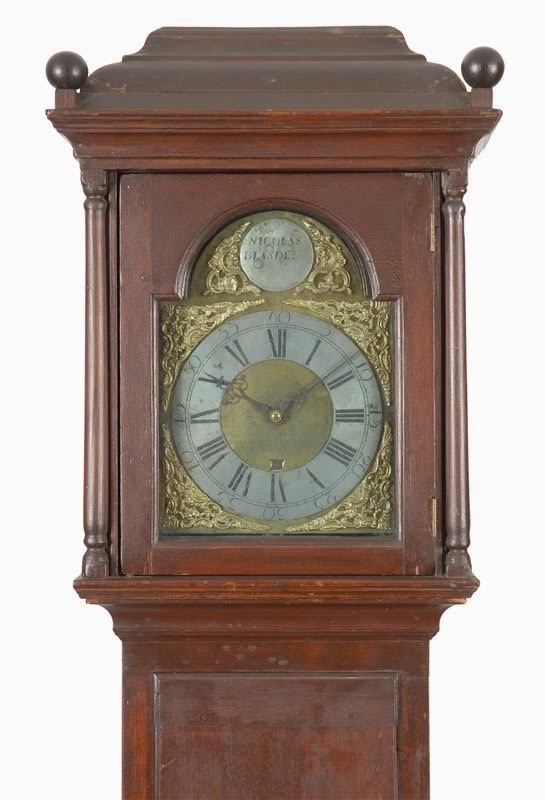 David’s contribution to the clock world was mastering the sophisticated eight-day brass, time and strike movement, rather than the standard 30-hour lantern one. 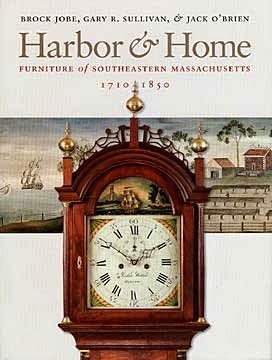 A clock sold at auction made in 1750 is easily identified because of its unusual features, namely the unique heart shaped cut-outs in the sides of hood carved to amplify the loud bells strike. In 1777, Salisbury made history when the frigate Alliance was forged by the Hackett family. Klomps notes that David’s talent as a blacksmith was utilized in the enterprise. An impressive account is listed in the records of Timothy Cushing. In Newbury, the Noyeses were busy crafting another trade. Enoch Noyes, or “Old Fact,” as the natives called him, was a self-taught mechanical genius. It is often said, “a man’s home is his castle,” but for this man, it was a breeding ground for inventiveness. He owned the largest library around, first to import fruit trees, bred varieties of fish and issued the first comb industry in America (1759). All the labor was done by hand and he straightened the horns used for combsby steaming them over his kitchen fire, pressing them in a cleft leg, opening it with wedges and allowing it to spring together. 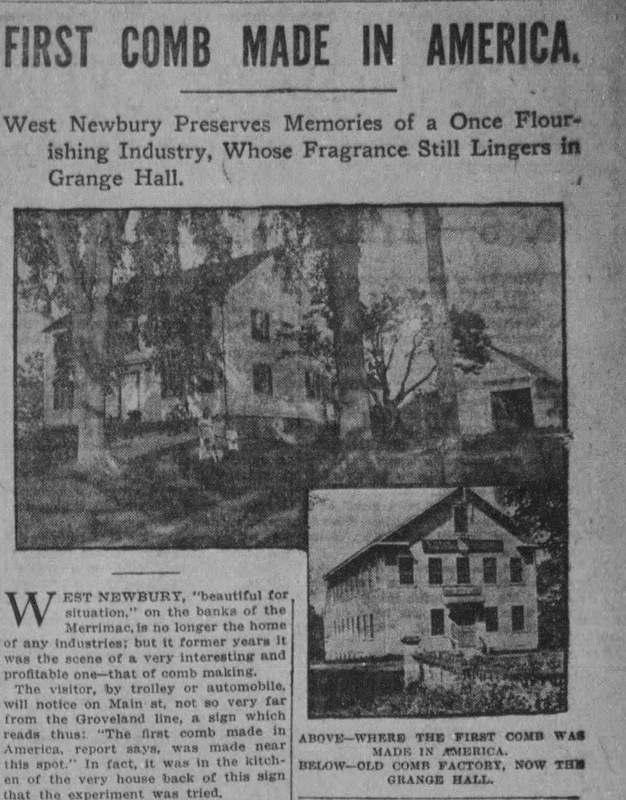 A 1925 article, “Sesquicentennial of Comb Industry,” noted 32 comb shops in town between 1830 and 1840 with several Noyes offspring constantly inventing and improving the production. The foremost was grandson David Noyes, who invented a machine for twining, or cutting the teeth. He was the most important man in comb-making in America. By 1844 S. C. Noyes & Co. ruled the industry with the first steam-engine used in the town. 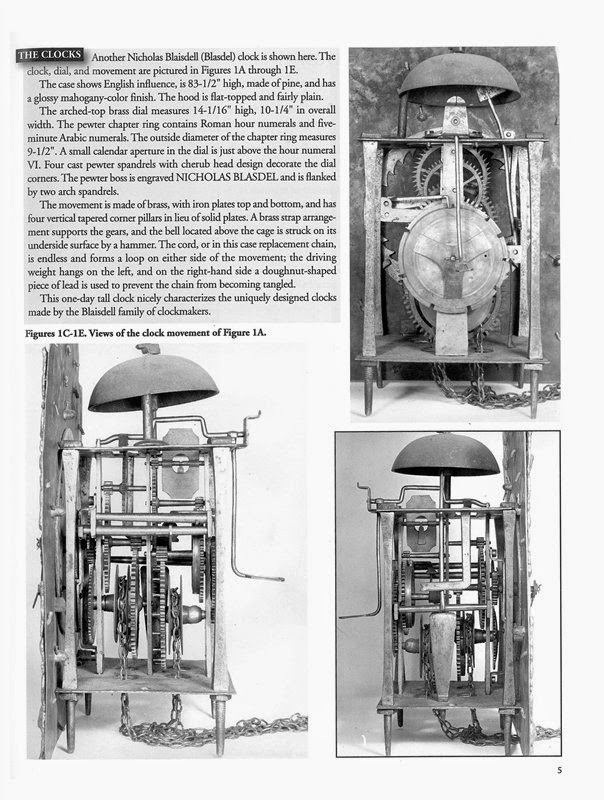 One thing is for sure: These fellows were a “marvel of Yankee ingenuity,” constantly combing new territory for inventions and never squandered time. Gemr.com is a community for collectors. A place for people to post and share photos and descriptions of the collected items they love. Collectable pieces of all descriptions can be posted to your collection, or they can be bought, sold or traded. You create a username, which can be your business name, actual name or something anonymous. Based in Portsmouth, NH., Gemr.com (pronounced "Gemmer") had a public launch in mid January and already has over 13,000 Facebook likes and almost 3,000 members! We encourage feedback as we continue to build functionality and social features over the next few months. Young people have been quick to join, posting the collectibles that appeal to them. Older collectors are also finding the site and beginning to post antique and vintage items. We have already developed a great mobile ap, for iPhones and for Android, which are both available for free on iTunes . The mobile ap allows users to take a photo, enter the description and post the item in seconds right from their phone. We have just raised almost $5 Million dollars and plan to spend much more than that to make this site a tremendous success. We believe that it will revolutionize online collecting! When joining Gemr, please use code "E5TGUY" and you will receive your first medallion.